A new year, a new round of makeup TSV's from QVC for me - I bet no one is surprised. 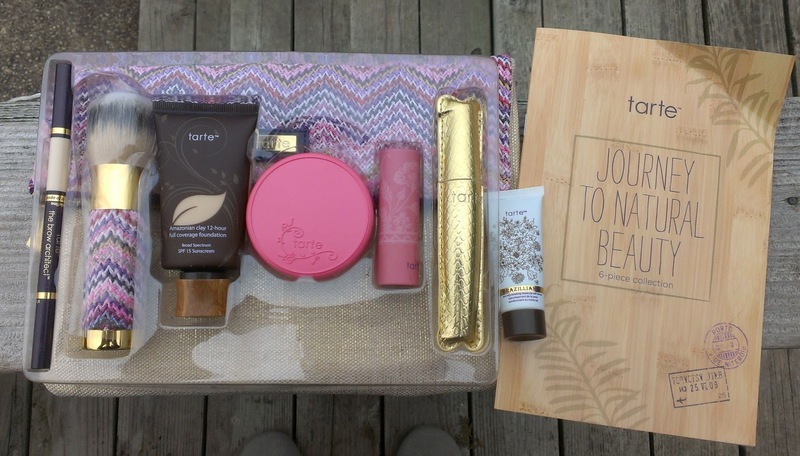 On February 5th, Tarte will be offering the Journey to Natural Beauty Collection for $59.94 (+s/h & taxes) on QVC. Of course, I ordered early (because Tarte products are like crack to me) but my confirmation email had the delivery date listed in February so I wasn't expecting to receive the kit until after the TSV actually aired. Imagine my excitement when it showed up on my doorstep earlier this week. 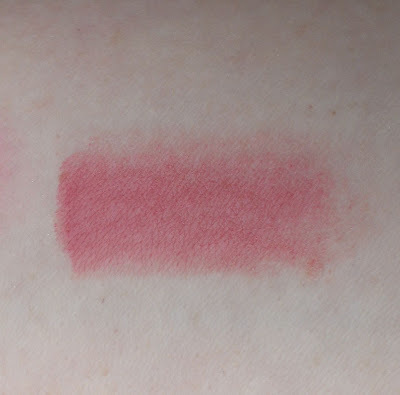 And because of my tedious computer issues, I've had a few days to play with collection before writing this post so I feel like I can give more informed opinions about the products than I usually do in these TSV previews. While this probably doesn't seem like the most exciting kit in the world, I think it might be my favorite TSV in recent memory. 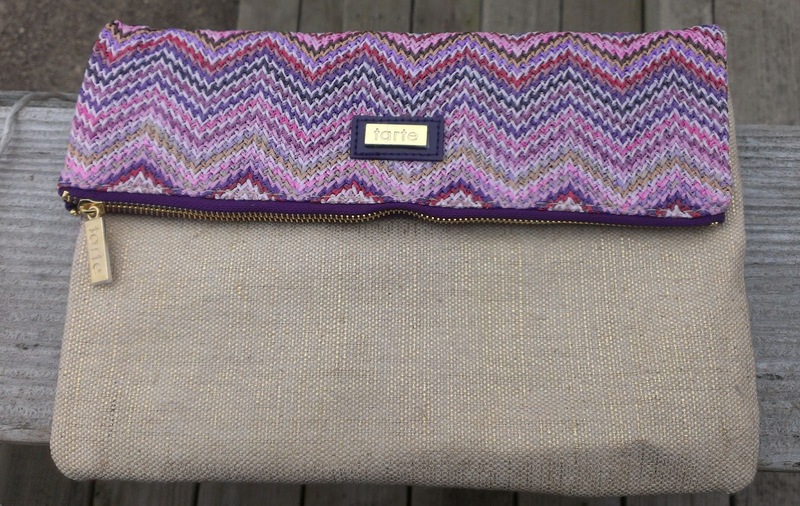 There's also a woven travel makeup bag in the kit. Now, I'd like to point out that the collection doesn't contain any eyeshadow, so I'm still living up to my resolution to limit my shadow purchases this year. That said, I could definitely see how this kit might seem a little boring. 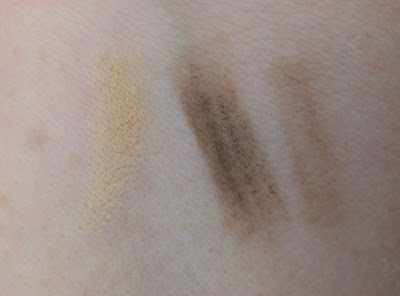 The products are all kind of makeup basics, which aren't always that exciting. 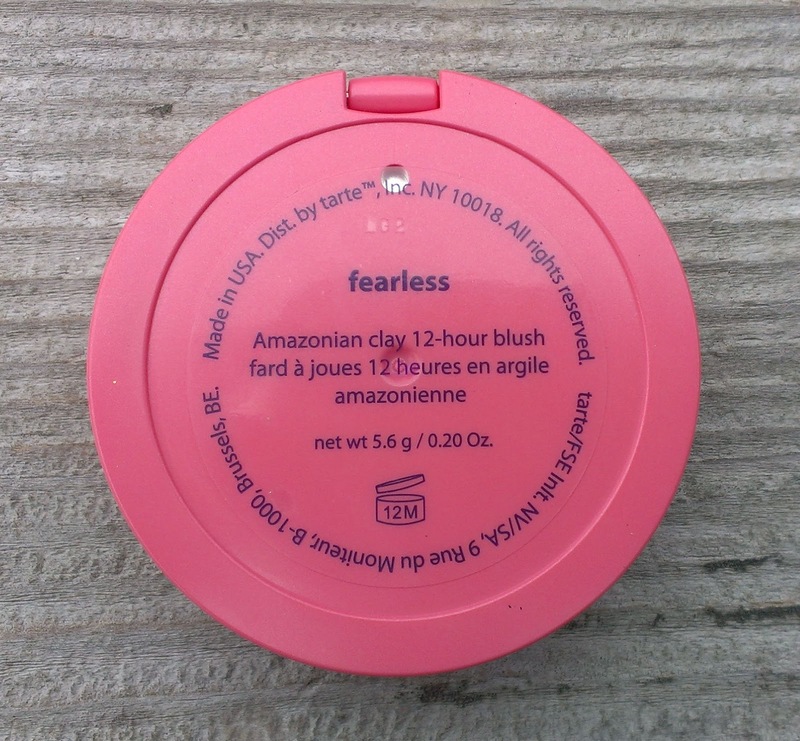 However, the new items in this kit are all kinds of awesome so when you pair them with classics like the Amazonian Clay Blush, you get a pretty amazing kit. I've discussed my complicated relationship with the Amazonian Clay 12-Hour Full Coverage Foundation before - the shade Fair is the best color match that I've ever come across in a foundation for my super pale skin, which makes me love it. However, the formula doesn't always play nice with my skin. Its thick consistency can make my face look super cakey when my skin is drier (like it is now in winter), which makes me kind of hate it. It definitely offers full coverage, though, and has a pretty nice finish when my skin is cooperating. Still, I decided to buy this TSV with the foundation included because I had a little epiphany recently about how best to use the foundation for my skin. And I feel pretty stupid for not thinking of it sooner. Mixing a couple of drops of my Tarte Maracuja Oil or Josie Maran Argan Oil (or any type of face oil, really) in with the foundation gives it a lighter consistency and makes it more hydrating so it glides over even the flakiest areas of my face. I still get really good coverage and the color match is perfect. Plus, the oil gives the foundation a slightly dewy finish, which I prefer. If you've had trouble with the Amazonian Clay Foundation - or any thick, heavy foundation for that matter - I really suggest mixing in a little oil. Or cut it with your moisturizer. I've tried that with the Amazonian Clay Foundation and it also works well. I just prefer the look that the oil provides more. I already had one of the Airbrush Finish Bamboo Foundation Brushes, but it's a really nice brush so I don't mind having an extra. Its synthetic bristles are super soft and the head is really dense, which makes it a good match for a thick foundation like the Amazonian Clay Foundation. I don't use it for applying foundation, though. I use it for blending after I've applied my foundation to make sure it's not streaky or cakey in any spots, and it works really nicely for that. 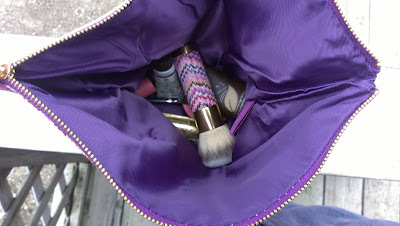 The brush in this kit has a cool woven handle that matches the makeup bag too. I have to admit that I was pretty skeptical about The Brow Architect. 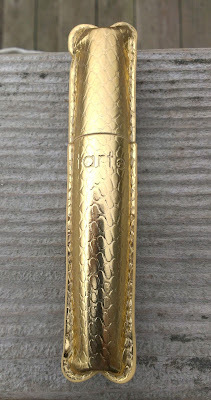 Tarte describes it as a 3-in-1 brow perfector for shaping and defining the brows. It contains a concealing powder to hide stray hairs and define the brow; a universal brow color for filling in the brows; and a comb for getting the brows in place - all in a single pencil. The idea of a universal brow color is what really had me doubtful. I color my hair, and I usually alter my brow color slightly based on how long it's been between dye jobs and how much my hair has faded (I'm a red head so my color fades pretty quickly). I didn't think a single pencil would be able to work through my hair's many changes. A single layer of the pencil provides color that would work for blondes, strawberry blondes and light brunettes. An additional layer creates a color that would work for medium brunettes and auburn hair, while a third or fourth layer should work for dark brunettes. The part of this pencil that I'm most excited about, though, is the concealing powder. It really does hide stray hairs so you can get a nice clean shape for your brows. I'm always reluctant to pluck too much for fear of creating bald spots, so this is almost a life-changing product for me. I don't think my brows have ever looked this neat and clean. And the brow comb is a standard brush that help keep your brows in place. I typically use the concealer first - before even applying my eye shadow - and follow with the pencil before using the brush to work the color in and shape my brows. I add a coat of clear mascara or brow gel on top too so my brows stay in place all day. 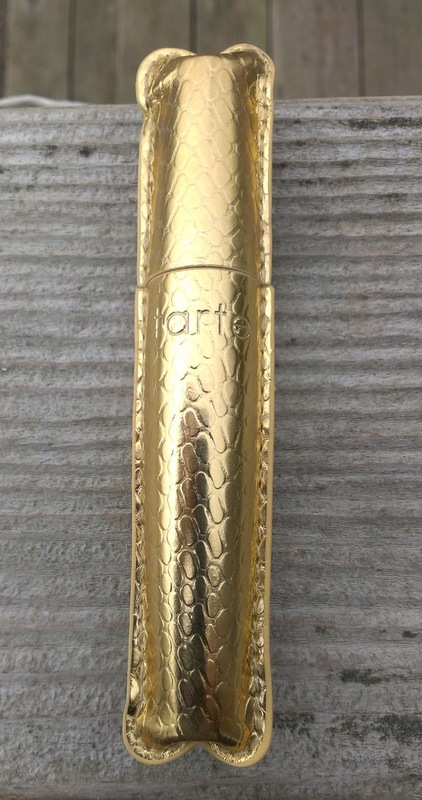 Tarte's Lights, Camera, Lashes Mascara is probably my all-time favorite mascara - it adds volume and length without any annoying clumps - so when I say that I think I might like the Lights, Camera, Flashes! Statement Mascara even better, that's really saying something. Like the original, it's designed to lengthen and add volume but its brush is different - one side has soft, short bristles and the other has longer, comb-like bristles. Tarte advises applying two coats for maximum impact - the first with the shorter bristles to really add volume and the second with the longer bristles to separate and lengthen. My lashes look full, long and totally bold with this mascara. 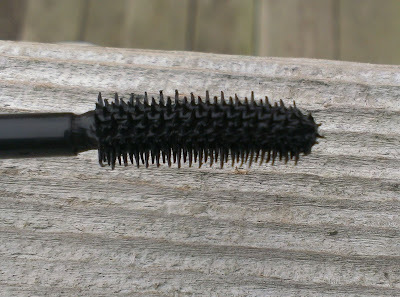 I'm not usually wowed by mascara, but this one totally knocks my socks off. The Tarte Amazonian Butter Lipstick is a hydrating lipstick, like the Revlon Lip Butters and other similiar formulas that have come out recently. 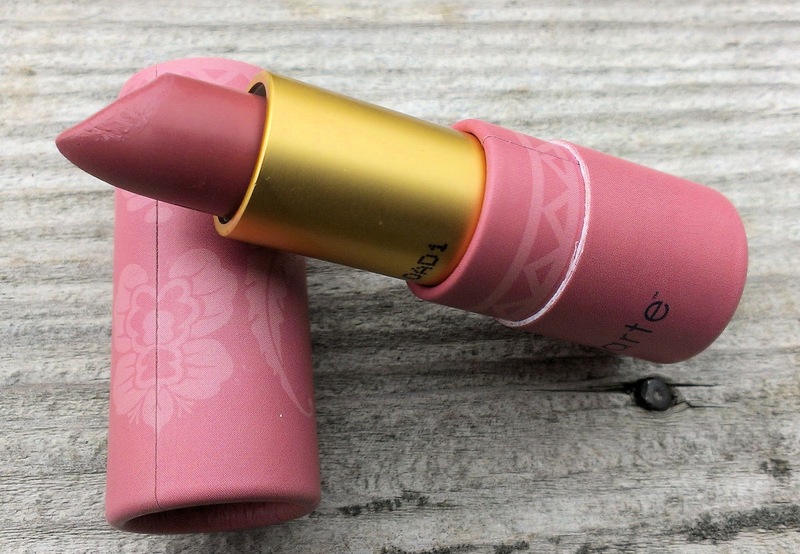 Tarte says the lipstick contains nutrient-rich cupuacu and murmuru butters to help fight dry, chapped lips - now I don't know about you, but I've never heard of either of those ingredients. 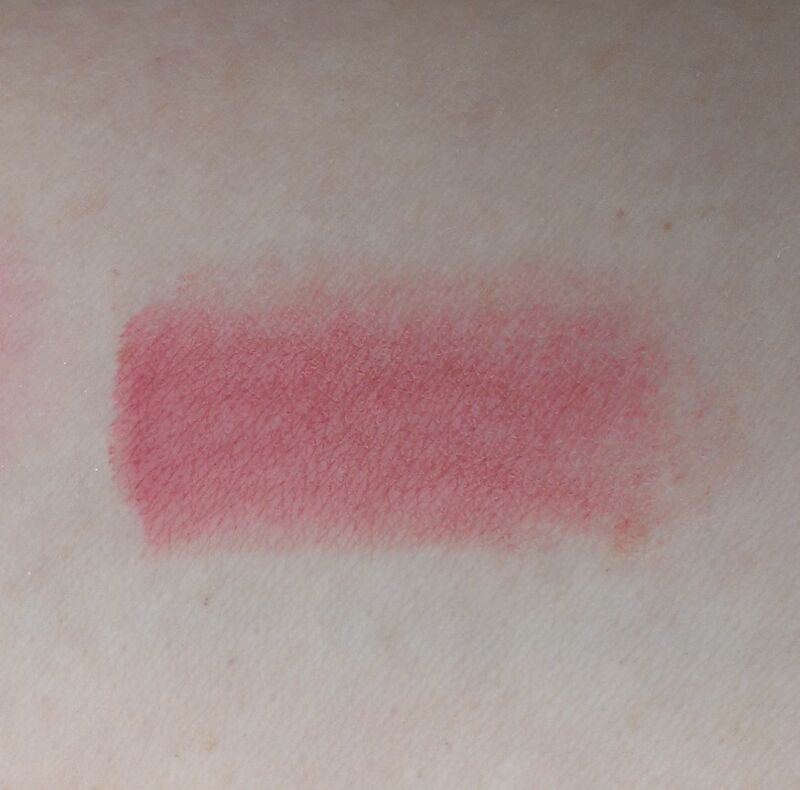 Still, the formula is pretty moisturizing and feels really nice on the lips. It has a slightly drier consistency than the Revlon Lip Butters, though, so I feel like its staying power is better. 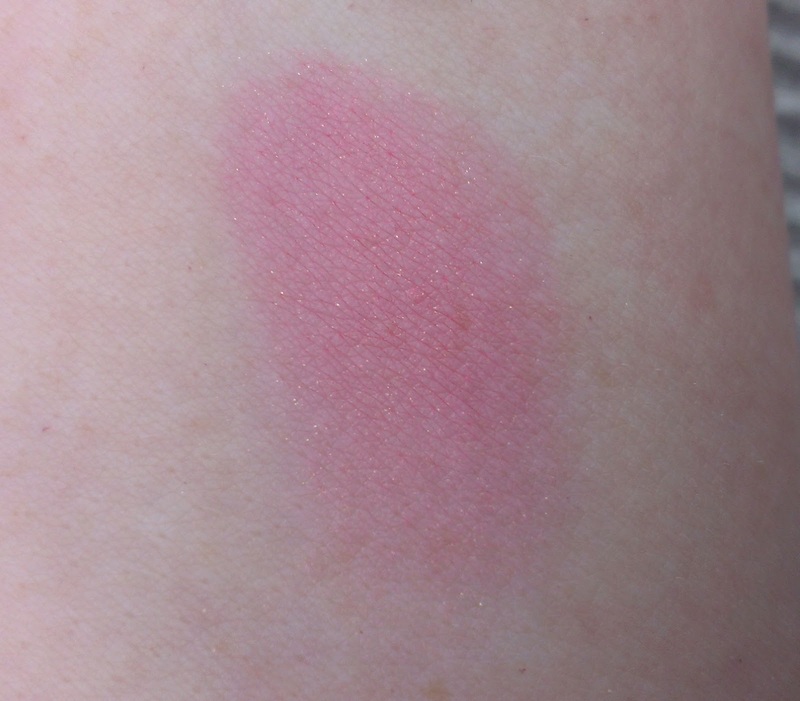 The shade, Plummy Rose, is a mid-tone rose shade that would be flattering on most skin tones as an everyday lipstick. It has a slightly glossy finish too, which is nice. 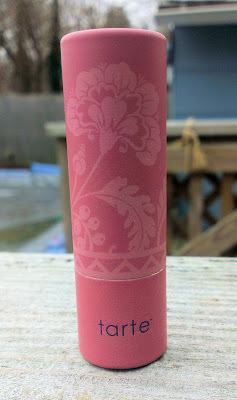 It's also worth mentioning that the lipstick comes in a cardboard tube, so it's environmentally friendly too. I've never had a lipstick in that type of packaging before - really neat. The Tarte Amazonian Clay 12-Hour Blushes are some of my favorite blushes on the market. They're super pigmented and long-wearing, and come in a nice range of colors. 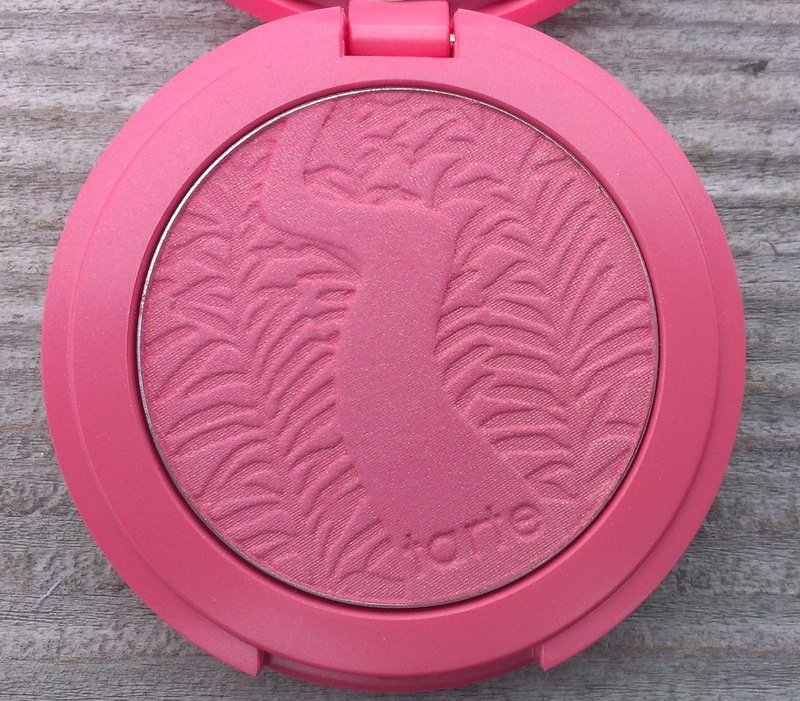 Most of the blushes that I've gotten in previous Tarte TSVs were peachy-pink colors, though. Now, that's fine since peachy-pink is my absolute favorite shade for any type of makeup product, but at this point, I could use a few other options. Fortunately, the blush in this kit, Fearless, is a pure, warm pink with pretty gold shimmer. It's a perfect shade if you want to get that rosy "I've just been out in the snow" look this winter. The makeup kit in the bag is surprisingly nice for a little throw in. 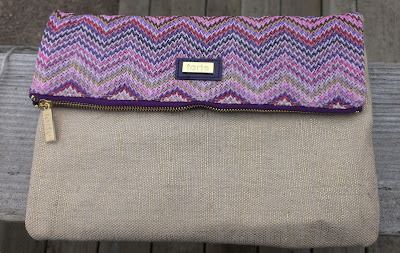 Its made of a tan, canvas-like material on one side (with pretty gold thread running through it) and a pink, purple and white woven material on the other. 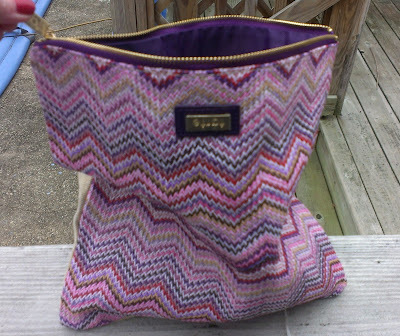 The top of the bag is designed to fold down, so just a bit of the pink, purple and white side lays over the canvas side. However, you can fit a heck of a lot more stuff in it if you use it unfolded. In fact, it's pretty freaking huge if you use it that way. I took a photo all of the TSV's contents in it to hopefully give you a better sense of the bag's size. Tarte is always really good about including little extras in their TSVs. This time, it's a deluxe sample of their Brazilliance Skin Rejuvenating Maracuja Self Tanner. I have no use for it because I'm not a self-tanner, but I appreciate the gesture. 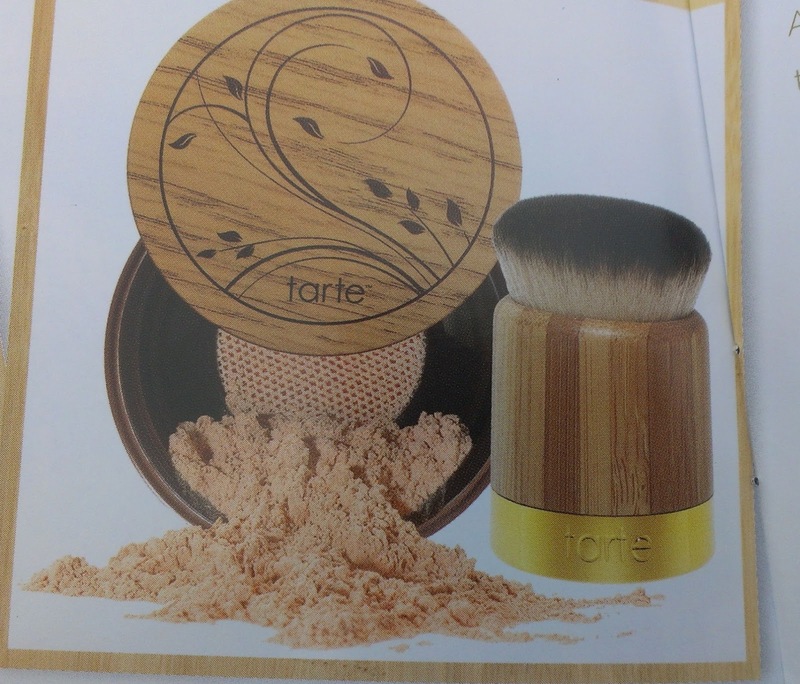 Now, almost as exciting as the contents of the kit itself is the fact that in the little booklet/catalog that's included with the TSV, there are apparenlty a couple of intriguing new products from Tarte on the way. First is the Amazonian Clay Full Coverage Concealer, which is a complement to the Amazonian Clay Foundation and comes in five shades - fair, light, medium, tan & deep. Its QVC price is listed as $29. Doesn't that brush that comes with it in the QVC package look amazing? 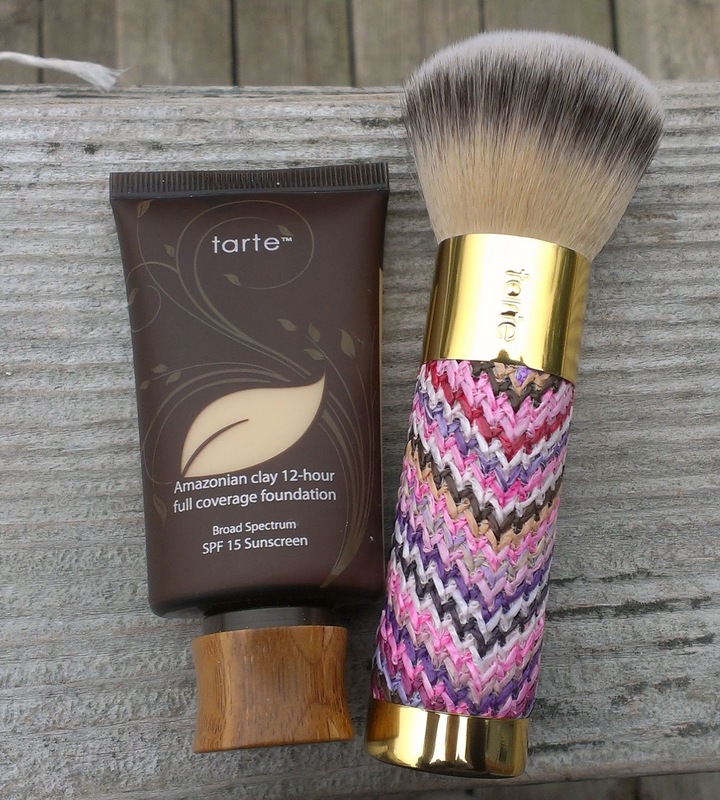 Next is the Amazonian Clay Full Coverage Airbush Foundation & Airbuki Bamboo Powder Foundation Brush. It also comes in five shades - fair, light, medium, tan & rich - and its QVC price is listed as $43.50. Apparently, neither product is available just yet. The Full Coverage Airbrush Foundation has a note next to it that lists it as coming in March. Both products have QVC item numbers (A231738 for the concealer & A232155 for the foundation) but when I search for them on the QVC website, I get an "Item Not Available" message. 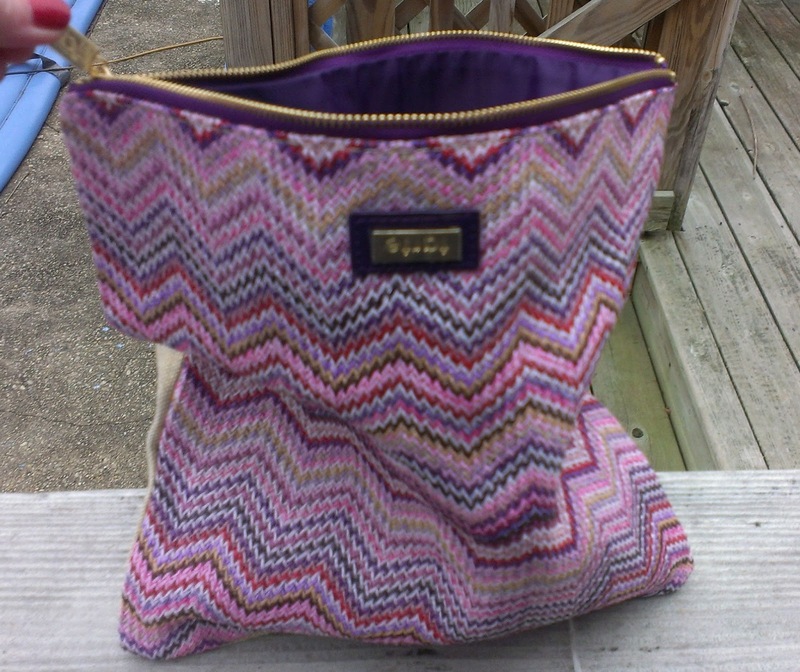 As for the TSV - I absolutely love it. All of the products meet or exceeded my expectations - how often can you say that? It's available on auto-delivery too, so if you're a fan of the foundation, you may want to lock in the great price for two additional kits. If you want information on how to purchase the kit before February 5th, email me. What do you think of the collection? Feeling tempted? I caved. I was on the fence because I don't really need another foundation, am skeptical about the mascara, and don't really use brow products, but I just couldn't resist. 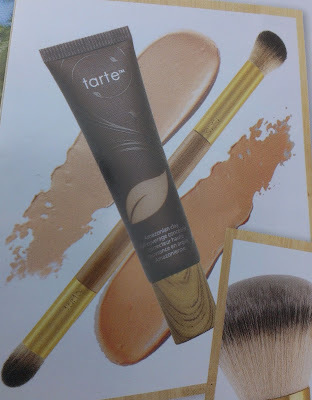 I'm really excited about the Amazonian Clay concealer! You know what would be fantastic...if they included the concealer and the powder foundation (along with their brushes) in the next two shipments instead of the regular foundation in the next two TSV shipments. That would be AMAZING!!! That would be awesome if they did that! It would be easy to do too, actually, since all of the shades coordinate. I love this kit. It's simple, but all of the products are great. Hope you enjoy it! Getting a full set of face products out of the three shipments would be a really great concept, especially since face products tend to last forever. I still have 1 1/2 tubes of the AC foundation in my stash already. That collection looks so gorgeous, but as usual, I doubt it will be available in Australia!! I will definitely check out the giveaway - thanks! The lipstick looks like such a beautiful color! Is Tarte going to sell them separately?? It is such a lovely shade - perfect for everyday.